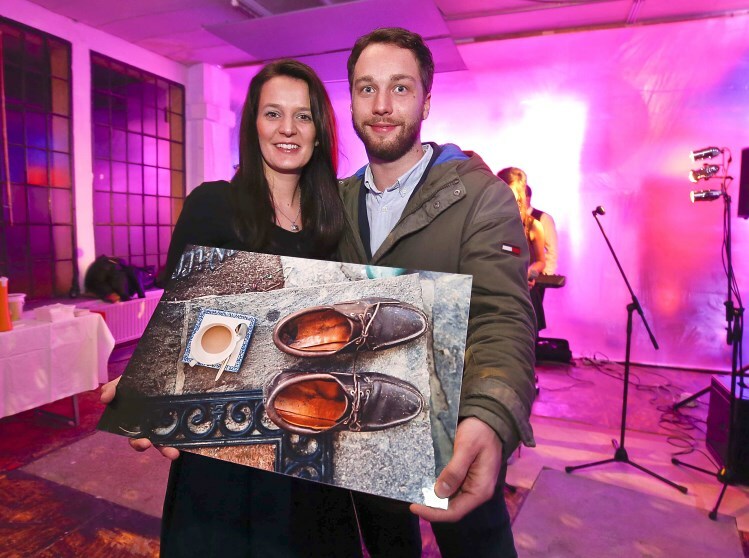 Price giving event first photo competition - "Living is..."
Denkstein real estate invited to "Opening with music and dance" on a 16.1.2015. On Friday, 16/01/2015 at 19:30 clock time had come: The 20 best photos in the photo competition "living is ...." by Denkstein Real Estates were presented at a large-scale event, the best three photos awarded by the jury. "We are pleased that the proud number was filed by 80 photos," says company CEO Michael Denkstein. With this event, Michael Denkstein wants to show that not only good business, but also the joint celebrations with friends, customers and partners are very important to him and his company. "This event also is a big "thank you" to our customers and companions," says CEO Michael Denkstein. In June Denkstein Real Estates called for their first Photo Contest "Living is ..." and invited all amateur, amateur as professional photographers to upload photos on the topic "What is living for me." Using our own developed APP http://denkstein.community-quest.at or over www.facebook.com/denksteinimmobilien or on our webpage www.denkstein-immobilien.com 80 photos were filed. Thanks to the sponsors Leica, Foto Kücher and the organizers of famous "Wildschützball" prices were very attractive for the participants. The winner got an original Leica Camera handed over from Leica Art Director Karin Rehn-Kaufmann herself. Uli Kücher, ownwer of Foto Kücher, handed over the second prize: a Foto Kücher Voucher worth 50 euros and the third prize were two tickets to the "Wildschützball" on February 7, 2015 - also handed over by the organizer of "Wildschützball" Lorenz Forstenlechner. The jury for the photo contest "Living is ..." consisted of Leica Art Director Karin Rehn-Kaufmann, photographer Helge Kirchberger (who was unable to attend) and artist and art director Christian Steinwender.